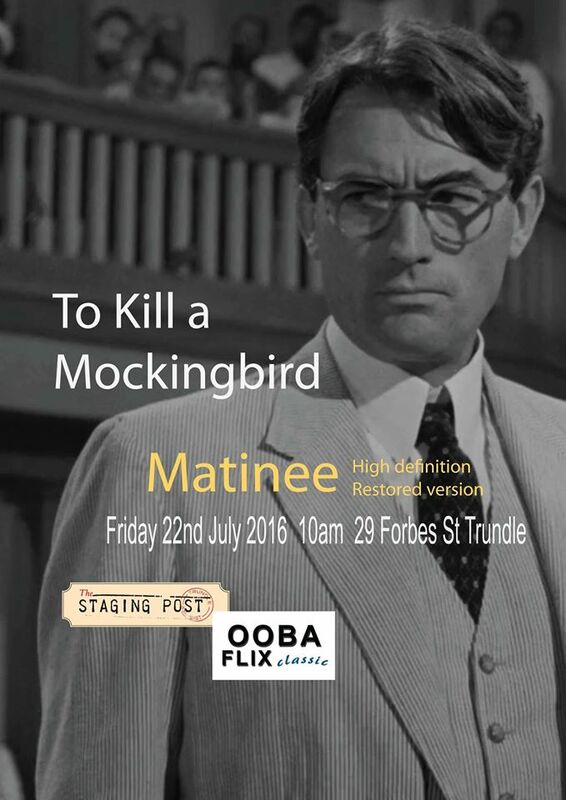 After a long journey over the ocean the high definition restored version of “To Kill a Mockingbird” has arrived and will be screened as a matinee on Friday 22nd July at 10am. Classified PG. Running time 2 hours and 9 minutes. Released in 1962 and winner of three Academy Awards, the American Film Institute ranks To Kill a Mockingbird as the best courtroom drama ever filmed. Tickets $12.00. Only 25 seats so get your tickets without delay. BYO thermos as no food or drink sold at venue. If you would like to reserve tickets please use the contact form on the site.